Ever wondered what TDP will top line Zambezi CPUs have? 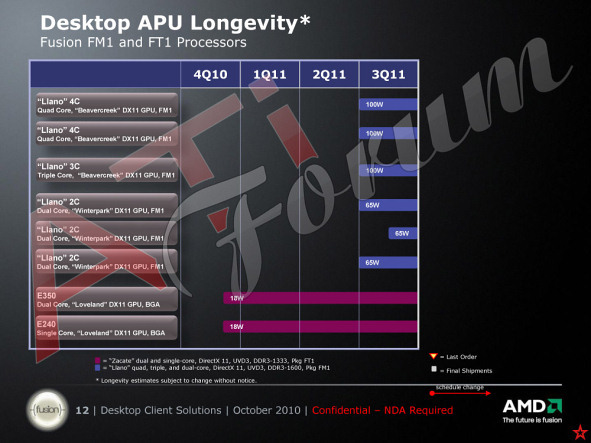 According to slides from ATI Forum, 8 Core Zambezi will have a TDP of 125 W, 8MB L3 Cache and AMD Turbo Core technology. The second 8 Core model will have a 98W TDP, followed by 6 and 4 core parts. Zambezi: 8, 6 and 4 core models: DDR3-1866, 32nm SOI. 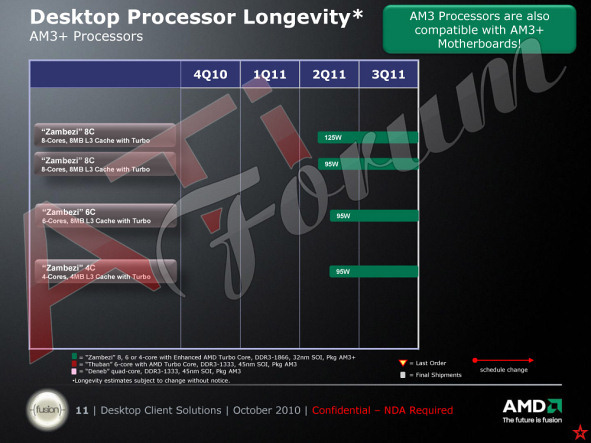 Is a shame, to long to wait… then intel sandy bridge it is….